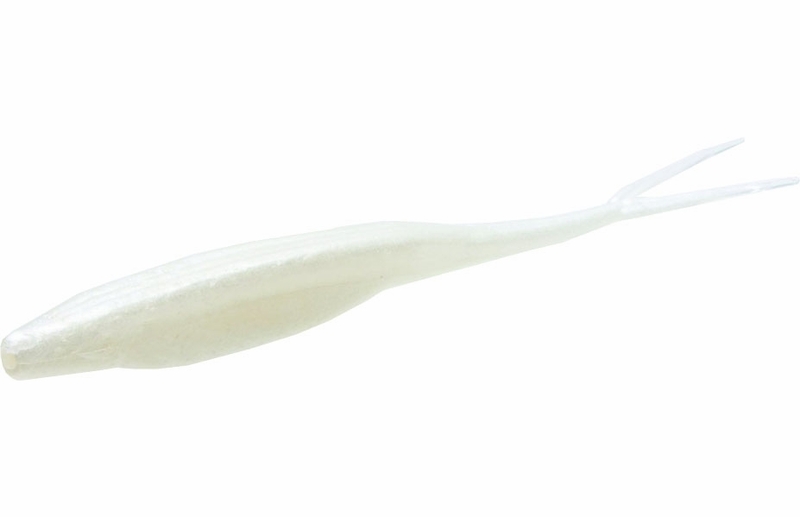 The Zoom Salty Super Fluke plastic baits. These fluke plastic baits are realistic and soft to the touch. These baits feature a deep belly allowing for darting, gliding, and knuckleball action through the water. 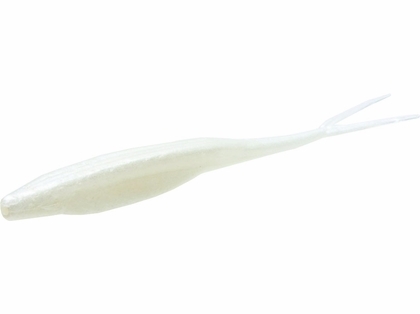 Rigged weightless, these baits can skitter across the water surface similar to an injured shad. If belly weighted hook or some insert weights are added this allows the angler to fish it as deep as necessary. A top bass bait imo. Plastic is soft and sturdy so you won't have to constantly change after catching fish. This is really my go to bait when fishing for freshwater striped bass and it never lets me down. ProsTen per pack is awesome! Affordable. ConsNone, if you know how to rig them for what you are fishing for. These are a smaller and cheaper than ronz or hogy. They get beaten up a little faster. But they are a great product. Haven't fished it yet but I expect it will work as it has in the past. item arrived in a timely manner and is as described. Zoom fluke is great for schoolie bass, weaks and sea bass. love Zooms!! zoom flukes are the best soft bait i used. very effective for sea bass and i absolutely love them. Very productive in the early season. I catch most of my early season fish with Zoom Flukes. Zoom Super Fluke is the best soft plastic and it's the first soft plastic I use in the season. It is one of sure wwaky catcher.. I like the pink color. Bubble gum color.. I use these almost every week when I bass fish and they constantly bring lunkers !